Rosenstein pushed back - dodging responsibility for decisions made by subordinates while claiming that Mueller was moving "as expeditiously as possible," and insisting that he was "not trying to hide anything." That didn't impress Congressional GOP. 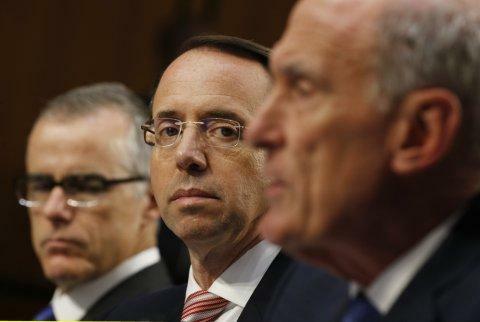 Meanwhile, following a long day of grilling FBI counterintelligence agent Peter Strzok, House Judiciary Committee Chairman Bob Goodlatte blamed Rosenstein for hindering Strzok's ability to reveal the details of his work. While Rosenstein's appears to be close to the chopping block, whether or not he will actually be impeached is an entirely different matter.